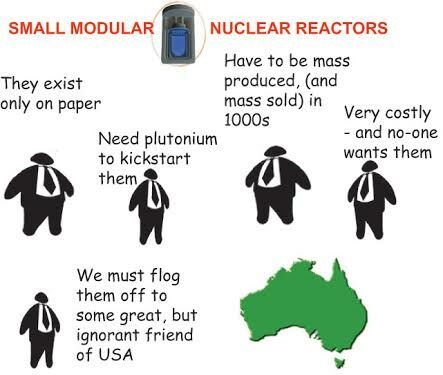 Three local sites identified as possible nuclear power stations https://www.lakesmail.com.au/story/5318455/munmorah-eraring-vales-point-identified-as-possible-nuclear-reactor-sites/ Melinda McMillan 3 April 18 Eraring has been identified as a possible future site for nuclear power by the Australian Nuclear Association. The Member for Swansea’s comments came after it was revealed the Deputy Premier John Barilaro was on a taxpayer-funded trip to the US where he attended the International SMR and Reactor Summit, in Atlanta, on March 27. These companies are “developing Gen IV reactors which will possibly be available mid 2020s, as well as the US Department of Energy to get an insight in relation to the Government’s approach to new nuclear technology,” a spokesperson for his office said. Ms Catley pointed to a 2016 map produced by the Australian Nuclear Association which identified two sites in Lake Macquarie and one site at the Central Coast – Eraring, Vales Point and Munmorah – which could be potential nuclear power plants. The local sites’ suitability was due to existing power generation infrastructure, population density, access to cooling water, road and transport infrastructure, and an existing skilled workforce, Mr Parker said. Ms Catley has called on the Premier to rule out nuclear power in NSW. “The Central Coast has a long history of being the powerhouse for NSW, but nuclear is not the way forward,” Ms Catley said. Premier Berejiklian ‘openminded’ to nuclear energy, deputy premier says 2GB, BEN FORDHAM, 3 April 18 Premier Gladys Berejiklian is “openminded” to nuclear power in Australia according to Deputy Premier John Barilaro. Jabiluka in Kakadu national park. come to shove at one of the world’s largest high-grade uranium deposits. The industry would push, and people power would shove right back. Does Trump Even Know What He Wants From Kim Jong-un? The president has shown no indication that he has any plan for next month’s all-important North Korea summit. Slate, By FRED KAPLAN , 3 April 18. The biggest, riskiest diplomatic trip of his presidency—the summit with North Korean leader Kim Jong-un—is set to take place next month, and Donald Trump shows no signs of comprehending the issues or interests at stake. Nasdaq 29th March 2018, French uranium mining and nuclear fuel group Orano, formerly called Areva, said its 2017 revenue fell 11 percent to 3.9 billion euros ($4.80 billion) and core earnings fell 30 percent to 946 million euros as demand for nuclear fuel remains low. Antarctica retreating across the sea floor, EurekAlert , UNIVERSITY OF LEEDS , 3 April 18 Antarctica’s great ice sheet is losing ground as it is eroded by warm ocean water circulating beneath its floating edge, a new study has found. Research by the UK Centre for Polar Observation and Modelling (CPOM) at the University of Leeds has produced the first complete map of how the ice sheet’s submarine edge, or “grounding line”, is shifting. 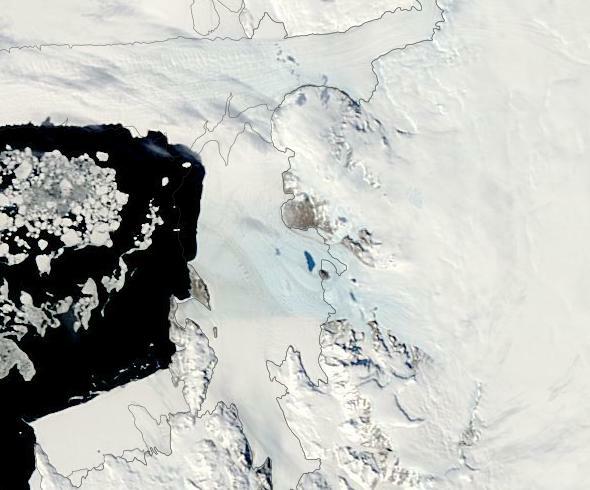 Most Antarctic glaciers flow straight into the ocean in deep submarine troughs, the grounding line is the place where their base leaves the sea floor and begins to float. Their study, published today in Nature Geoscience, shows that the Southern Ocean melted 1,463 km2 of Antarctica’s underwater ice between 2010 and 2016 – an area the size of Greater London. The team, led by Dr Hannes Konrad from the University of Leeds, found that grounding line retreat has been extreme at eight of the ice sheet’s 65 biggest glaciers. The pace of deglaciation since the last ice age is roughly 25 metres per year. The retreat of the grounding line at these glaciers is more than five times that rate. Daniel Ellsberg’s decision to release the Pentagon Papers was an act of valor—his actions saved countless lives. He was a whistleblower who changed the course of history and curtailed an ongoing genocide which ended up preventing the needless dissolution of American soldiers and Vietnamese civilians alike. The publishing of the Pentagon Papers is a prime example of the critical part a free press plays in keeping governments in check and exposing the corrosive nature of consolidated power. This is why the First Amendment of the Bill of Rights enshrines the rights to free speech and of a free press in the United States Constitution. Tyrants throughout history have targeted journalists and reporters for a reason. On Wednesday afternoon, Julian Assange, who has been forced into self-imprisonment at the Ecuadorian embassy since 2012 to ward off prosecution from the United Kingdom and the United States, had his internet access cut off. Assange is our generation’s Daniel Ellsberg; WikiLeaks—the online publication he started—has been invaluable in letting the public know about the malfeasance of their elected officials and highlighting the duplicity of governments throughout the world. In an era where mainstream journalists have been turned into a corporate-state propagandists, WikiLeaks stands out in their dogged pursuit of truth and exposing deep-seated corruption and graft. Fingerboard mine changes are ‘significant and disturbing’ — MFG, http://www.gippslandtimes.com.au/story/5272468/mine-changes-are-significant-and-disturbing/David Braithwaite @DaveismOfficial 8 Mar 2018, MINE-Free Glenaladale has not been directly advised by Kalbar what the changes to its project will entail, and spokesperson Pat Williams said it was waiting for the revised project description to be posted on Kalbar’s website. “One of our members tried to get more information from Kalbar. All he was told was that the new project area was 1675 hectares (an increase of more 200 hectares) and that there would be a revised project description on their website in a few days,” Pat Williams said. Mine-Free Glenaladale believes rather than being “refinements”, the extra processing plant for rare earths, as well as zircon and titanium, and the new mine path, are significant and substantial changes to the original proposal that was put to the referral for the environmental effects statement. “It is unfathomable that as an effectively different project, they shouldn’t be required put in a new referral to allow for public comment,” Pat Williams said. “Rare earth mining and processing has very bad press around the world. Mine-Free Glenaladale also disputes Mr Richardson’s description of the mine tailings as sand, quartz and clay, claiming tailings from mineral sands mines contain large amounts of concentrated heavy metals and radioactive elements. Concerns are also held about the possibility of high levels of radioactive elements thorium and uranium. The intervention of the mining warden with some affected landowners to effect mediation with Kalbar has also been viewed by the group as intimidatory. Mine-Free Glenaladale has called on Kalbar to hold a “whole of community” meeting so people can hear the same information at the same time and get the opportunity to ask questions. The New South Wales state government has given planning approval for the Liverpool Range wind farm, which at more than 1,000MW could be the biggest in the country. Two new Australian wind farms are heading towards 50 per cent capacity factor – that is about the same as some ageing coal generators.